Painter Jack Vettriano emerged from the unlikely background of the Scottish coalfields – unknown and untutored – and has seen his canvases hung in the Royal Scottish Academy. His first exhibition sold out, then the second. He sent the maximum, three paintings, to the Royal Academy summer show in Piccadilly; all three were hung. 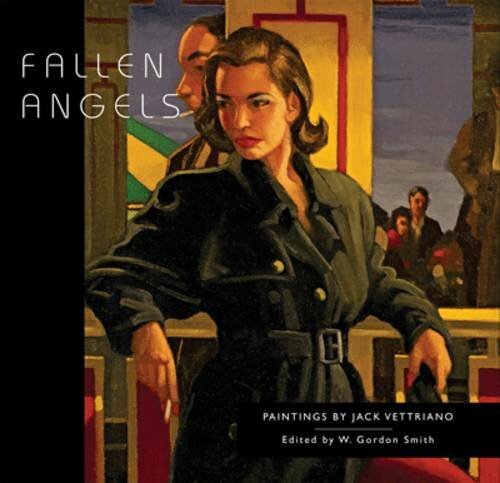 Alongside over forty Vettriano paintings are stories, poems, dialogue from plays, and other fine examples of Scottish writing. W Gordon Smith, playwright and art critic, has woven an anthology of new and old writing round the painter’s images, complementing them, matching their moods, extending the lives of his characters beyond their frozen moments on canvas. Some of Scotland’s most accomplished writers have accepted the challenge to put their imagination into free fall and, by interpreting Vettriano’s paintings in such diverse ways, plunder some of their mysteries and perhaps go some way towards explaining their unique appeal. 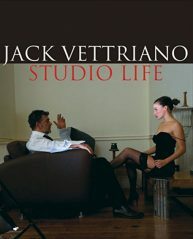 Alongside 40 Vettriano paintings are stories, poems, dialogue from plays, an other fine examples of Scottish writing. Smith has woven an anthology of new and old writing round the painter”s images, complementing and extending them.